After watching a lot of TLC TV, I had this urge to eat Menemen, a traditional Turkish meal usually eaten during kahvalti (breakfast) but is also good for supper. 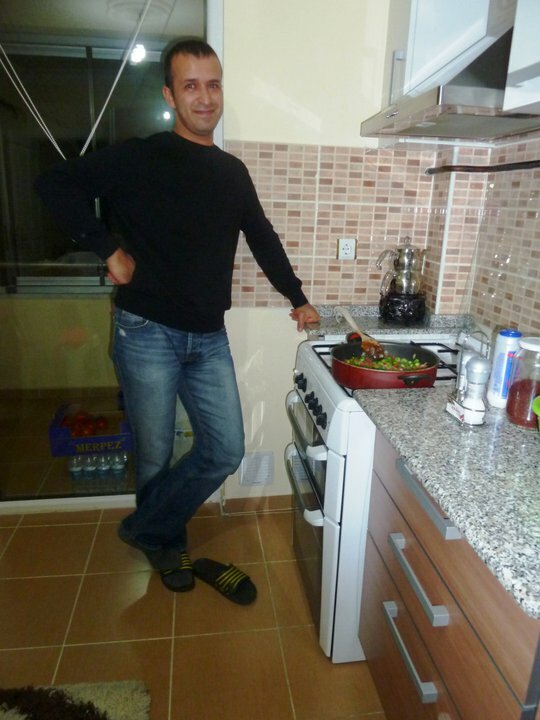 Baris, my host father in Turkey, whipped this meal one time when our plan to eat in a balik (fish) restaurant was sabotaged by a misafir (visitor) who came over our house. Menemen is extremely easy to prepare and is extremely spicy as well so I am sure my parents won’t be so gaga in eating it. I have to prepare a portion that will just be enough for me. So here is the recipe I googled over the net. Let’s see how mine turns out tomorrow. 6 long green peppers cut into small chunks (our host uses one or two sliced blazingly hot green chilli peppers as well, but bravery is required for this version). Bell peppers can be used if you can’t find long slender ones. 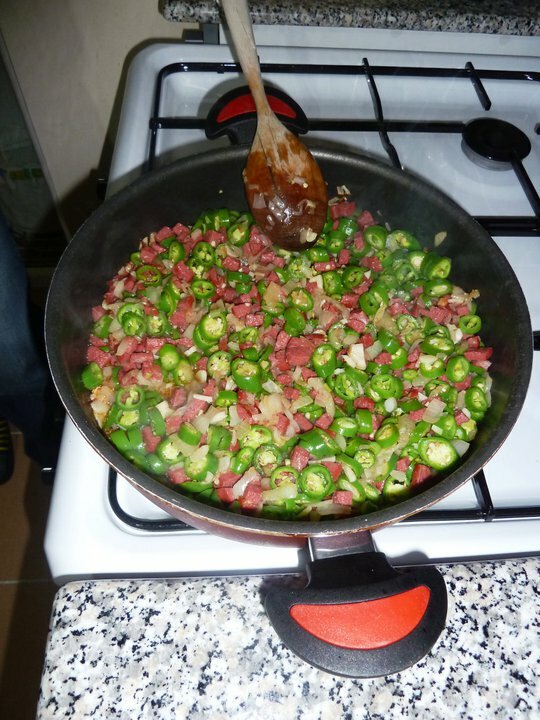 Warm the olive oil in a large pan, then lightly fry the onions and peppers without browning. After about 2 minutes add the chopped tomatoes. Cook the mixture until all the veggies are really nice and soft (around 7-8 minutes), and the juice has been reduced by about half. Pour on the eggs and stir continually until it begins to firm. The resulting masterpiece should be firm and juicy, not dry. But the most important ingredient for my Menemen to be successful is for me to wake up for breakfast. I am usually up by lunchtime. Offffffffffffffffffffffffffffffff.